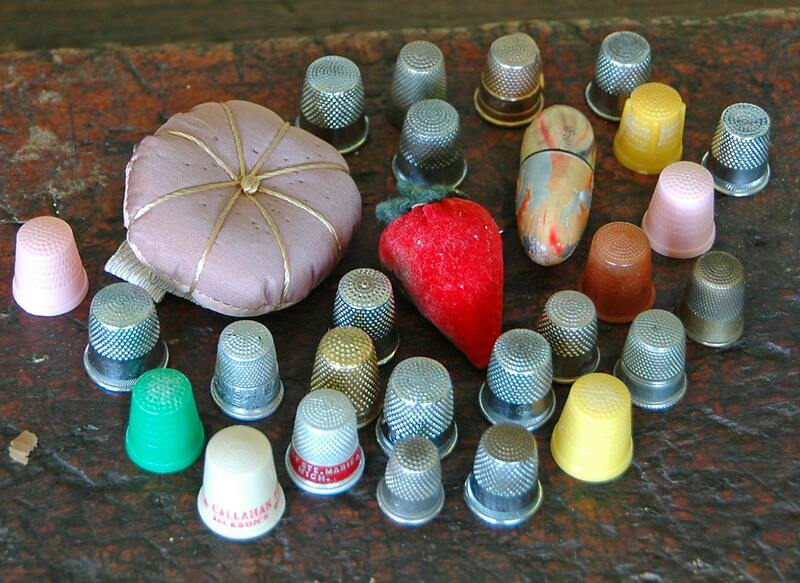 Thimbles - Pin Cushion - Needle Case - NEEDLE SHARPENER ! 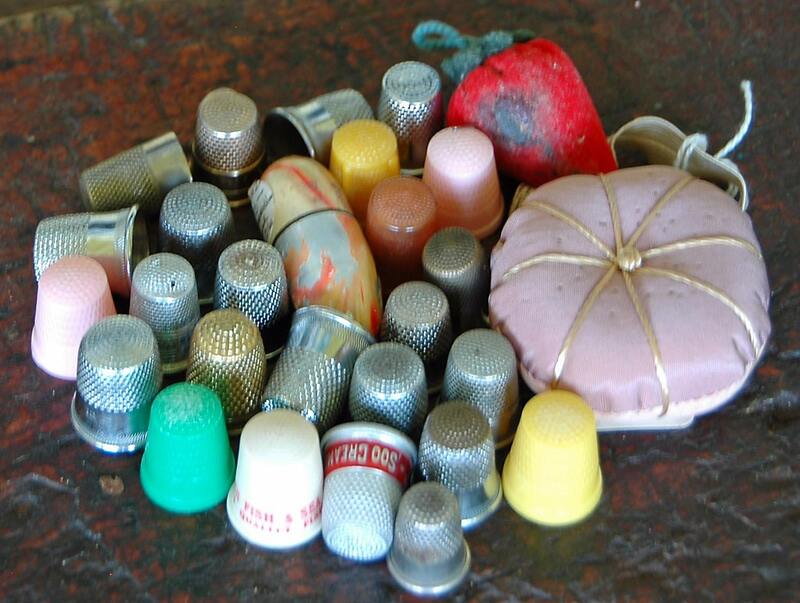 There are 7 plastic THIMBLES, one of which is an ADVERTISING thimble. CASE with traces of old paint. found condition. I DO NOT CUSTOMIZE, REFINISH OR REPAIR. 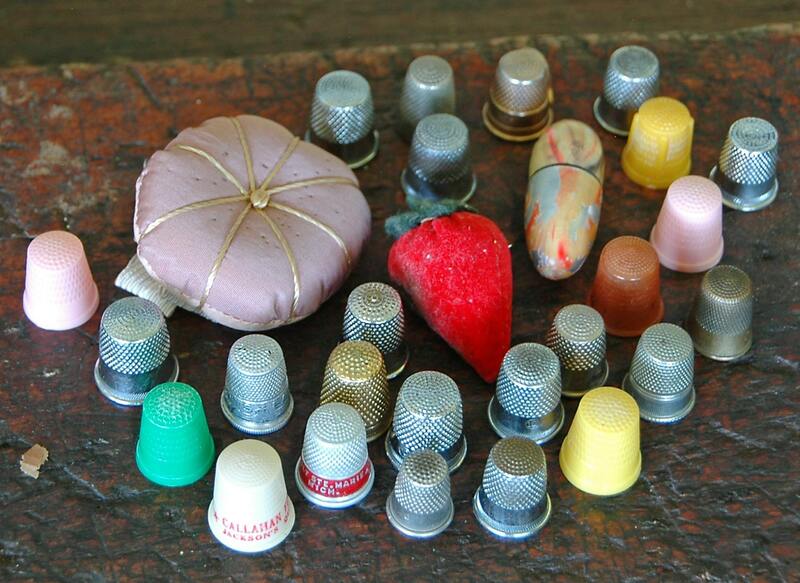 describe every item as to its condition and authenticity. LOOK AT THE PICTURES - THEY ARE PART OF THE DESCRIPTION!